Visiting New York is a dream for many, so if you are getting a chance, consider yourself among the lucky ones! Touted as one of the top cities for vacationing in the whole world, it certainly a golden opportunity if you get to come and experience what it has to offer. However, what make New York stand out are its amazing entertainment options. If you’re looking for for live events, such as concerts, art, comedy, music, theater, etc.. check out our local events calendar. But if you’re looking for other date ideas, or fun things to do in New York, check out some of these awesome attractions. 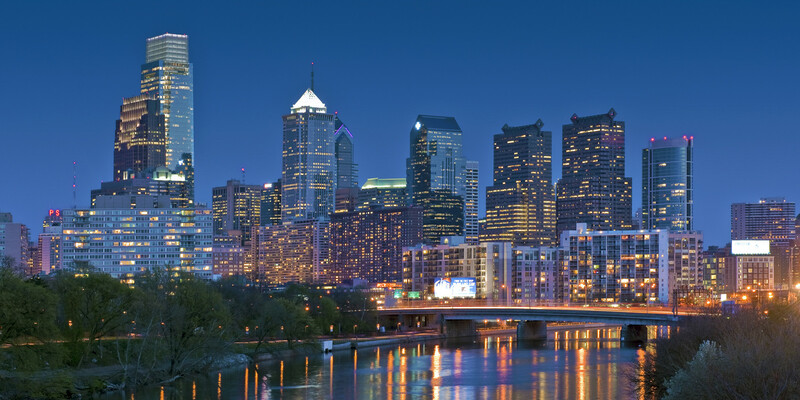 This club has been in existence for the last 9 years and is the proud recipient of numerous of running tenant screening background checks during that time. Having a crystal clear sound system, you will find the place packed and hip-to-hip crowds on the sunken dance floor gyrating to the tunes belted out by top DJ’s that include NYC old-schoolers François K, Tedd Patterson and Louie Vega. Don’t be put off by the Heidi Montag wannabes hanging out in the neighborhood, Cielo is a must-visit! Watch how twentieth-century history comes alive at this facility, which houses 30 restored aircraft, a submarine, and a British Airways Concorde Jet. This aircraft carrier has served in World War II, The Vietnam War, the Cold War’s anti-submarine patrols, and NASA recovery missions and is an excellent example of the conflicts that existed in the 20th century. Go exploring and check out the top-secret missile command center, torpedo rooms, the attack center, and the crew’s mess hall. There are simulators also with cutting edge technology that allows you to experience the thrill of flying a jet or journeying through outer space. Pacha is a worldwide glam-club chain with outposts in nightlife capitals such as Ibiza, London and Buenos Aires. This club debuted in the US in 2005 with this posh joint, where the crowd is full of heavyweights ranging from local hero Danny Tenaglia to big-time visiting jocks of the big-room house and electro variety. Like most of the big clubs, do check the lineup before you enter. New York City’s Theater District stretches from the 53rd to 42nd Streets in Manhattan between 6th and 8th Aves, called the Great White Way. Although, the area might appear to be congested, some of the world’s most famous and renowned productions are hosted in the 36 theaters here. You can’t experience New York’s fun factor without catching a Broadway show. Be it classic productions like “Chicago” at the Ambassador or a newer stage rendition of “Mary Poppins” at the New Amsterdam Theater, you must not miss out on the singing and dancing that this city has to offer. Ready to have a gala time? Hurry and pack your bags! 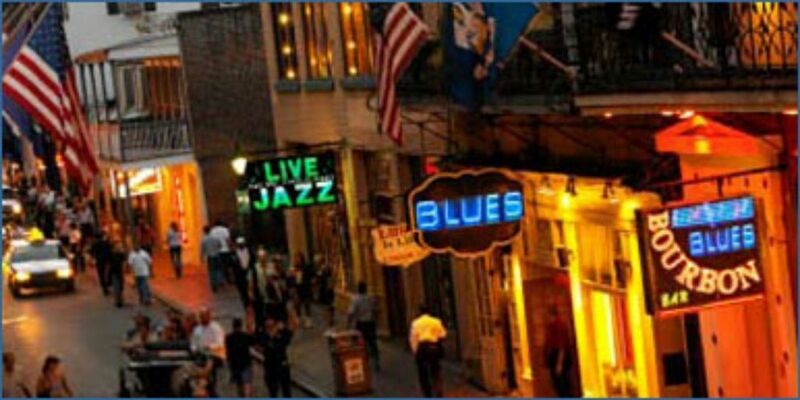 New Orleans, also known as the Big Easy has a lot to offer in terms of fun and enjoyment. Whether you are visiting with family or have planned a trip with friends; you’re bound to find endless amounts of fun for all ages. If you want an authentic New Orleans experience but not from typical touristy areas of Bourbon Street and the French Quarter, head to the lively Frenchmen Street. A popular spot for locals, Frenchmen Street is a four-block stretch of live music, bars, restaurants, nightclubs and art galleries. It is not just a party spot though; on the contrary it is a shopping haven where locals sell homemade art and jewelry. It is located in the Faubourg Marigny neighborhood of New Orleans and is easy to reach as it is within walking distance of the French Quarter and also accessible via car or taxi. Take a walking tour of the Garden District, situated a little less than 3 miles southwest of the French Quarter for a peek at some of the city’s most beautiful homes. This historic residential neighborhood is laden with trees, ivy, and yes, gardens. Flanking Jackson Square in the heart of the French Quarter, the Cabildo was originally constructed in 1799as the seat of the Spanish government. Today, the Cabildo is home to a three-floor branch of the Louisiana State Museum, which recounts Louisiana history with the help of Native American objects, Colonial-era paintings, and even Napoleon Bonaparte’s death mask. Visitors can also see the room where the Louisiana Purchase was finalized. An entire floor is devoted to Hurricane Katrina — the 2005 storm that left New Orleans and surrounding regions devastated. You will find multimedia displays and artifacts collected during the cleanup of both Katrina and Hurricane Rita. Strange and morbid as it may sound, some of New Orleans’ must-see attractions are its cemeteries. Many of the tombs found in these “cities of the dead” are above ground to protect them from rising water levels, and embellished with ornate designs inspired by French and Spanish architecture. The Big Easy has some fantastic restaurants too, so while stopping for a bite between sightseeing, you have a lot of options to take your pick from, including a variety of mouth-watering cuisine. Hurry and plan a trip to New Orleans – the beautiful place awaits with open arms! Wondering what to do while Visiting Chicago? Or maybe you just need some fun new date ideas… Either way, expanding y our horizons can be an interesting opportunity to learn more about the culture and lifestyle of a city. Chicago does not disappoint when it comes to options for entertainment. If you’re looking for for live events, such as concerts, art, comedy, music, theater, etc.. check out our local events calendar. But if you’re looking for other date ideas, or fun things to do near you, check out some of these awesome attractions. There are various high-end stores and shops here. Whatever you want, be it designer wear or personalized accessories, this place has ‘em all! Oak Street is a kind of ensemble market where you can purchase home furnishings, jewelry, art, music, shoes, and just about anything you can think of! In addition to stores and boutiques, this place has loads of salons and spas where you can spend ample time pampering yourself after a long day of shopping! This museum will be an unusual and exciting experience for the family. A lapidary is a term for an artist who creates decorative items and art by using gems and minerals creatively. Two floors of this museum contain some of the finest lapidary exhibits, with the top floor, which is a hands-off area, having the most captivating ones. However, kids will get ample opportunity to get a first-hand experience of the elements of gems and minerals downstairs. The location of the museum is also great as it is located in the middle of a beautiful park, where you can take walks and have a leisurely time. Situated about an hour away from the city, this is a perfect chance for the whole family to spend some quality time away from the noise and hustle bustle of the city. The Sci-Tech Hands-On Museum is filled with interesting things to do and exhibits on each floor. This place is referred to as the charming suburb of science fun. An added attraction is the free zoo right in the middle of an amazing park. This newer theater was renamed after the late film critic in 2000. Situated right across the famous Chicago Theatre, it is presently the sole movie theater in the loop area in downtown Chicago. This venue is renowned for being one of the major art-house showcases in the city. Film festival screenings often take place along with a mixture of classics, independents and more high-profile art films. There is a 24-course tasting menu by owner and master chef Grant Achatz, which takes around 5 hours to finish. The cuisine here is Contemporary American and Achatz is simply a culinary wizard and his experiments with food ingredients and presentation is what makes the place famous. Imagine truffle-juice ravioli with melted leek and bison with multiple preparations of Iranian pistachios. 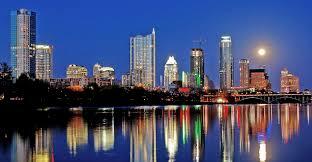 Austin’s attractions are suitable for all age groups. For example, the city has an abundance of green space, sp active travelers can bike in Zilker Park and swim in Barton Springs Pool before an evening of bat-watching at the Congress Avenue Bridge. However, you will be swamped with different options. This is one of those stops that uniquely capture the essence of Austin. Once slated to be a condo project that ended up not materializing, the concert foundation has become a canvas for local graffiti artists. It is constantly changing, just like the city. While visiting, be sure to climb to the top to get a great view of the city. Rocket Electrics gives you a one-of-a-kind way to explore the city. These are not your regular ol’ bikes. They’re electric powered so when you need some extra oomph, no peddling necessary. You can rent them to explore on your own or take a tour – choice is yours! A trip to the “Live Music Capital of the World” wouldn’t be complete without discovering some of Austin’s up-and-coming talent along 6th Street. After drastic restoration took place in an effort by the National Register of Historic Places to save the area from its grungy reputation, this area became the hub of Austin’s music scene in the 1970s. Today, 6th Street, between Lavaca Ave and I-35, buzzes with activity from surrounding shops, restaurants, bars and yes, live-music joints such as Emo’s. Cruise down the river on a tube while you enjoy drinks and get the adrenaline pumping! One of the area’s favorite summer outdoor activities – river tubing with ATXcursions is the most convenient way to float: transportation to and from downtown Austin. You can book it online as well. The prices for tubes, coolers, and ice are included in the same package. Both locals and visitors enjoy this behind-the-scenes look at some of Austin’s best restaurants. One of the most popular ones is the Eastside option. It takes you to several awesome food trailers, some great brick and mortar restaurants, and a brewery. They offer walking, van, and even electronic bike tours. So what are you waiting for? This wonderful place beckons you for a holiday – start planning right away in order to book the tickets as soon as possible.